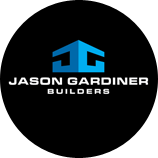 Jason Gardiner Builders is owned and operated by Jason Gardiner, an award-winning master builder with over 25 years of industry experience. Jason and his hand-picked team of qualified building experts pride themselves on delivering the highest level of workmanship at every job they undertake. We worked closely with Pam and the team at Jason Gardiner Builders to get the look and feel of the website to perfectly represent the quality they are known for. SunRoom then created a responsive website that would showcase their work and engage potential customers. The team at SunRoom are fabulous! They patiently worked with me to update our website and we are thrilled with the result. Charlie even showed me how I can tweak and make changes myself. The team are always really helpful and nothing is a problem. I have no hesitation in recommending SunRoom Web Design. © 2019 SunRoom Web Design Studio - Crafting Awesome Quality Websites Since 2010.